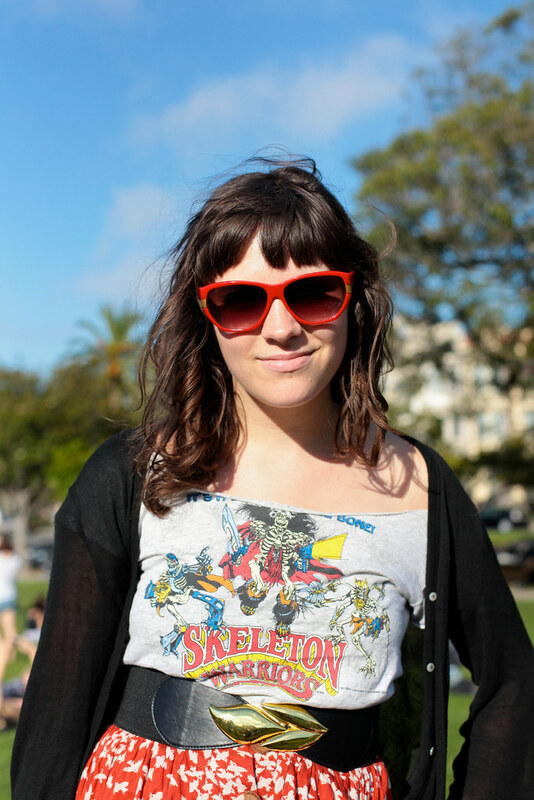 "I kind of built it around this t-shirt which I got when I was 18 [in] the boy's department of a thrift store. And I just cut the neck out. I had it in a box for sentimental value and now high-waisted skirts are in, you know because it goes down to there, it's now something I can actually wear it with." I like clothes that are customized and colorful skirts that are worn on waist. I also really like her colorful plastic sunnies with the touch of gold at the temples.